I’ve been a big fan of leopard print since I can remember. 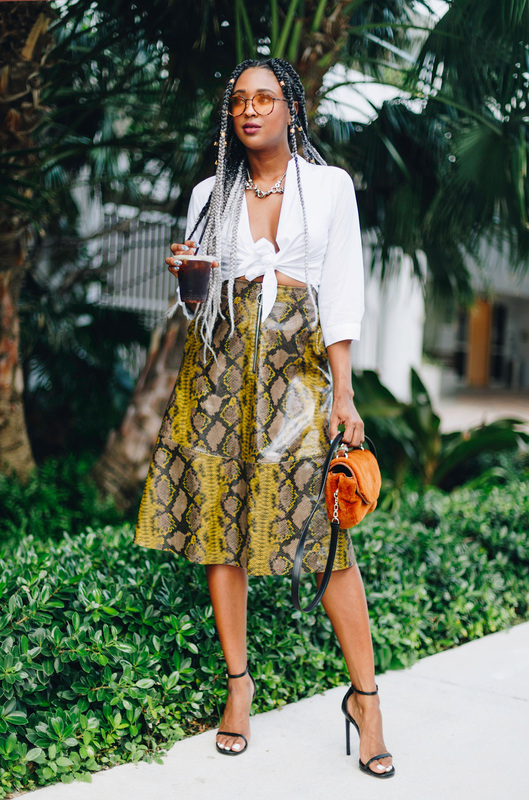 I can’t believe I’m saying this but move over leopard print, it’s snake prints time to shine. 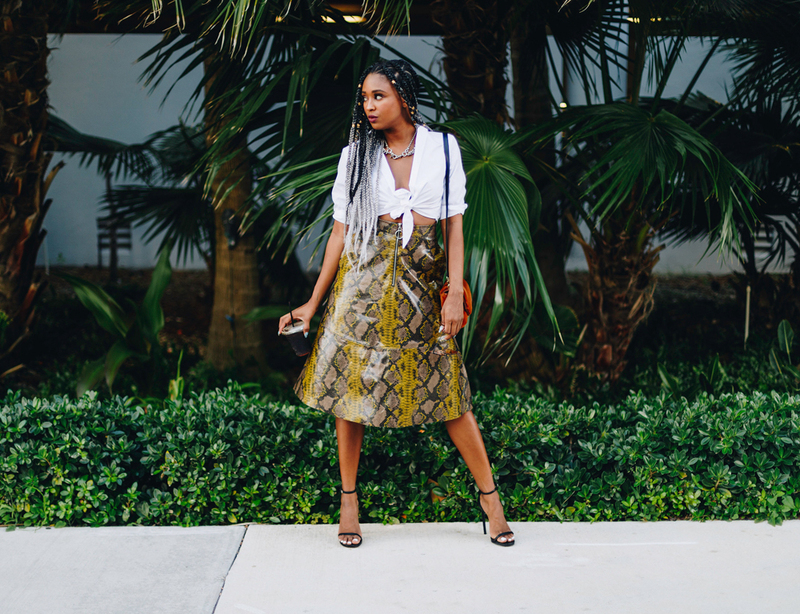 Yes the snakeskin trend has definitely slithered its way into my closet. I’m more ravenous than I ever was about leopard print. Luckily, like leopard print, I don’t think it’s going anywhere anytime soon. Though I would advise you to be open to cow print (I got this on my nails mid February), zebra, tiger and croc prints as well. 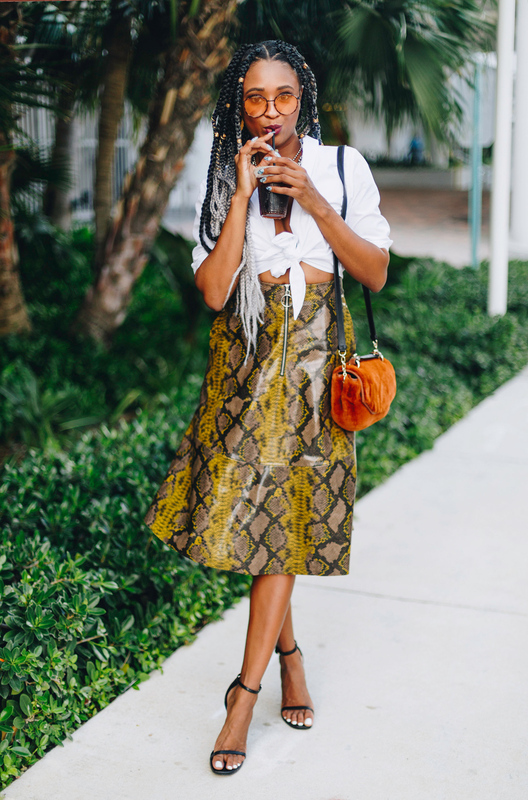 How do you wear snakeskin print? The moment I laid eyes on this Zara midi skirt with the o-ring zipper detail (another trend I love) I knew I had to have it. I got this back in September 2018 and the snakeskin momentum hasn’t slowed at all. Since then, I’ve acquired shirts, pants, shoes, you name it in the print. One of the days on my trip to Paris with Artistry Studio, I realized that almost every single look I packed included the print. My favorite being these boots for less than $100. Such a great buy and the compliments haven’t stopped. Anyway I let the skirt and my hair make the statement for this outfit and kept everything else basic. 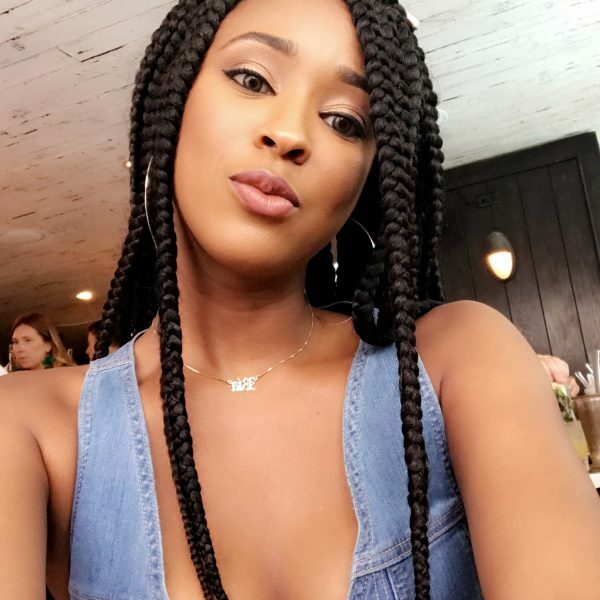 This crop tie-front top came with a solid black tank dress that absolutely did not fit me. It was super affordable so I didn’t feel too badly, plus I bought it for the top not the dress. It is also Zara. 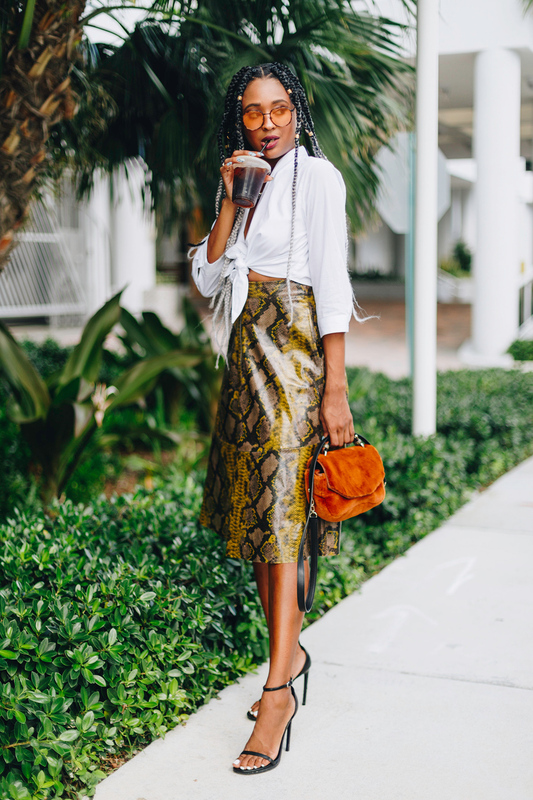 My Maje faux fur bag feels very Autumn, so I don’t wear it too often in Miami but I love the way it goes with this skirt. Textures baby! I finalized the look with my simplest shoes, my Saint Laurent Jane Sandals. They’re chic and don’t compete with anything else for attention but somehow make the look. 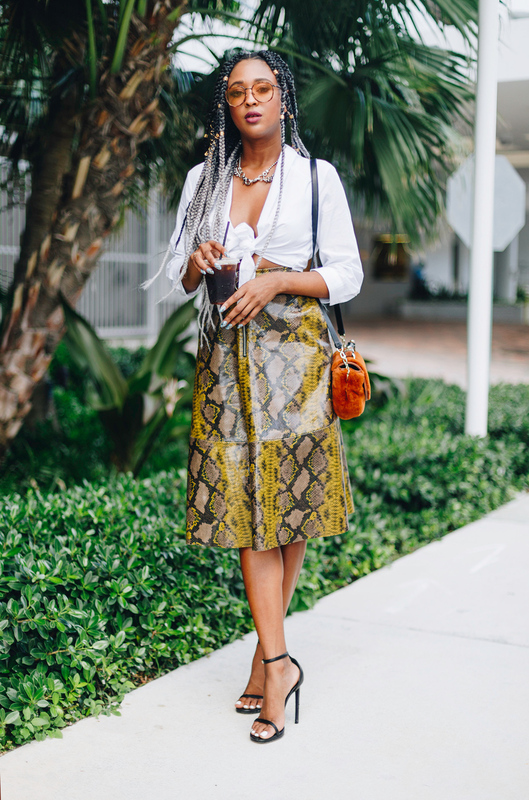 Snakeskin like leopard to me falls under the neutrals category. It may come in a myriad of colors but it’s fairly understated enough to be worn with anything else. But it can also work as the statement piece to a look. 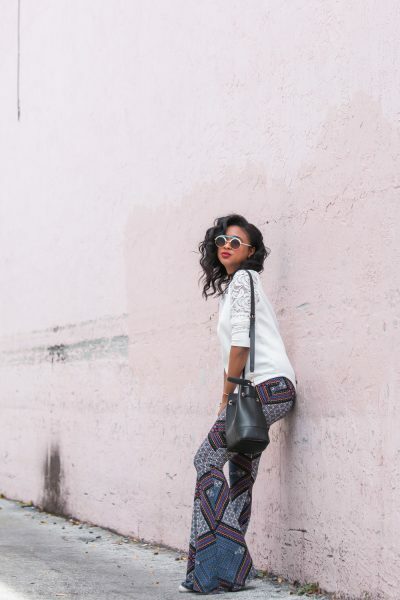 If you’re afraid of color you can stick to just a black or gray based print. 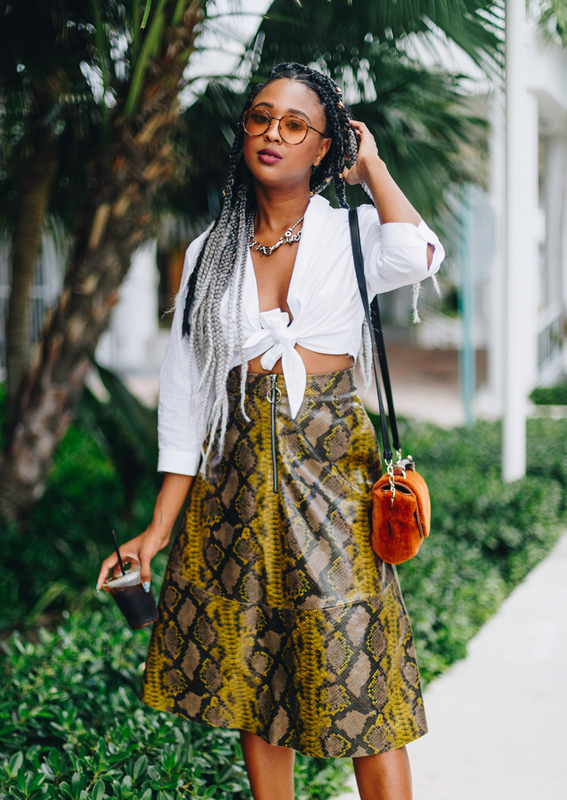 It’s hard to go wrong with a snake print. 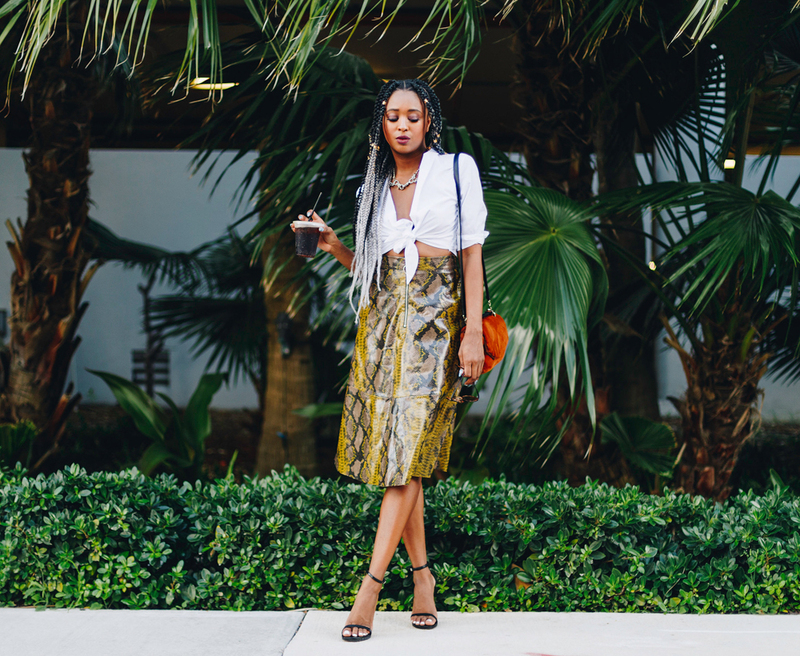 Have you tried the snakeskin print trend? What’s your favorite way to wear it? Below you can check out some of my favorite pieces to get on board the train.